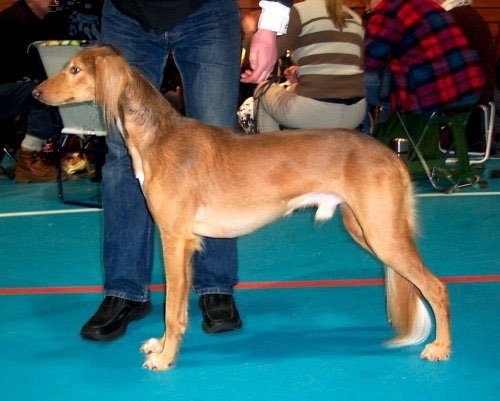 My first saluki was N Ch Sharqiy Shaman's Bassaas, he was born in August 2000. My second saluki was the white dream from France, Arab Bahari's Varah Wahimah. These two became parents to my first saluki litter, the Razali's, born in June 2007. This was the beginning. Now I have their granddaughter Illa with me, lets see what future brings.